Today's post is from my favourite travel blogger in Dubai, Michelle Karam. 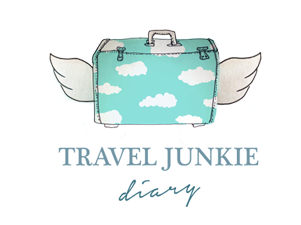 Travel Junkie Diary is a beautiful journey of inspiring experiences, amazing destinations, enlightening adventures and getaways and a valuable travel resource for families looking to explore the world. 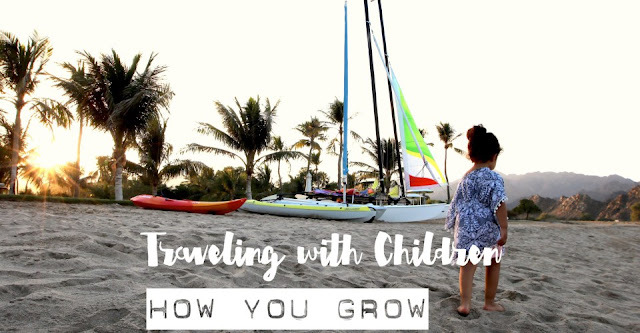 With the summer holidays fast approaching and parents around the world planning their vacations, I wanted to share this insightful and inspiring article from Travel Junkie Diary: "How Traveling with Children Helps You Grow". 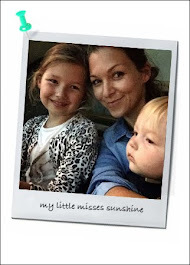 Travelling with kids can be stressful but really it should not! Here's why and how! There are numerous of articles out there helping you cope with ‘traveling with children’. Somehow all the articles you read are almost always the same. The truth of the matter is, that practice makes perfect. Even if your first time was a disaster. There is something we tend to forget, which is not the manual on ‘how to switch off kids potential bad behavior when traveling’, but, to remind ourselves how we, as parents, grow from each experience, every take off and landing with our children. It’s not just them that needs to adapt to change, It’s also us. The Parent… And if we have a little faith in them, we stop and realize on how traveling with children can actually help you grow. Both emotionally and mentally. Have we forgotten than it’s also us, the parent, that needs some adapting? If you are the type of parent that is anything like me, then you would understand the importance of your child being asleep by 7pm. Until one evening, while away, she was in bed at 8pm, broke the rule for the 1st time and gave us a whole hour to be out of the hotel a little longer. It made a drastic change to our itinerary and to the better. Traveling with children can help you start to loosen up a little on feeding schedules, sleeping routines and even on yourself, which affects a lot during a trip. Learning to let go makes it all part of the growing process. Not more of a different way but just new ways every trip. Sometimes while hiking or swimming or even stuck on a train. You bring in new experiences to yourself as much as your child and you learn to cuddle, talk or even listen more in new ways. Le Méridien Hotels & Resorts for example has local discovery guides to help explore your destination in new and exciting, family-friendly ways. During those guides, you learn to discover new things together. If there were no morning flights, then I wouldn’t fly. Morning flights always ruin most of the traveling plan because it would take a full day to travel to and another full day back and had NO clue how to take red eye flights with a 3 year old, until one summer evening, I risked it all. I booked a 2am flight to Barcelona and arrived at 6am. How did I do it? I knew it was a learning curve for me, I told myself (Back to point 1) Loosen up and let it go. I tried not to wake her while taking her to the airport (of-course it didn’t work) but I kept it very calm, quiet and replicate the same as if we were in bed. On the plane, I learned to quickly set up her sleeping area, no TV, no snacks, no entertainment, just sleep. 4 hours later, I couldn’t believe I did it, and I learned now, it’s me who needed to adapt. Not her. From a solo traveler to one that travels now with a 4 year old from time to time, alone… you learn to pack the bare necessities, phone the hotel to find the amenities and just learn to share a suitcase if you are traveling alone together. You will need all your hands free! What truly helps is to also pick a hotel that is family friendly, for example , Le Méridien now gives out LEGOS amenities upon check in anywhere around the globe which is the first hotel brand to partner up with this innovative company. You learn to grow as a family together more. Much more when you are away. You learn to pause and see that nothing else matters except for this moment now. This helps you accept the long nights, the messy kitchen and the chores as a parent. It’s a fact! Your IQ in story telling grows in a surprising and very impressive kind of way! Watch their eyes glow as you talk about the Pharaohs in Egypt or why people climb mountain peaks and most importantly, why languages and cultures are different from one another. You have no one else but each other. So you tend to (go back to point 1 again) Loosen up and start to accept few things that once back home, was never accepted because of the pressure of work or your daily routine life. When traveling with kids, you let go of work, routine and you are fully aware of your surroundings and feelings. Have a little faith in them. There is no specific time to wake up, no specific time to sleep. No specific time to eat. No specific time for any routine and every day is different. You learn to listen to your heart and your mind what it wants to do and when. It’s all up to you. Yes, sure, with time, you will be traveling with your children / child alone. You will learn and feel confident to do it all on your own, with practice. It only takes that one time! Traveling with children can go both ways. But either way, you will find out exactly what you need out of a vacation and then decide whether to take them or not. If you need time out by yourself or whether you need to explore new destinations with the help of the hotel that has great kids activities. Your choices will become more rational than second guessing. Le Méridien’s new family program (curating unique family-friendly offerings, etc.) is available at their 100+ hotels worldwide, curating family- friendly museums and cultural centers to landmarks, parks, and family-friendly restaurants. Traveling with children will educate you on picking exactly the right kind of travel holiday you need. Le Méridien’s goal is to make family travel more inspiring, educational, engaging, and simply fun, no matter the destination.